Kendall Trainor was a well-practiced kicker for the Arkansas Razorbacks from 1985-1988. 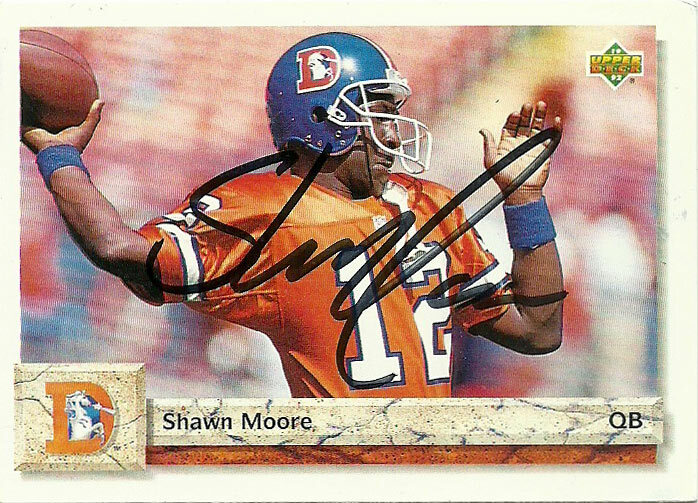 During that period he set a few school records and tied a few others- going 5 of 5 twice (A&M and TCU) and 4 of 4 (HOU) in 1988 in field goals made. He holds the school record for most field goals made in a season at 24 (27 attempts) and his career mark of .889 stands as a school record as well. 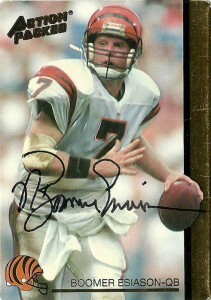 Named an All-American in 1988, Trainor was part of the legendary 1989 NFL Draft- selected in the 9th round by the Phoenix Cardinals. 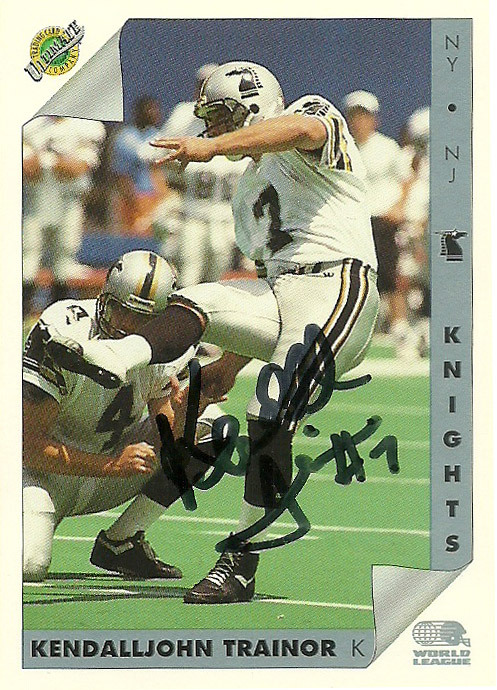 Kendall was selected as the first overall kicker in the WLAF Player Draft in 1991 by the Sacramento Surge. 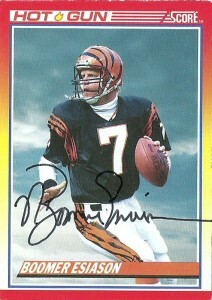 He’d go 4/6 on PATs and 8/13 on field goals while pulling double duty with 29 punts for 946 yards and a 56 yard long. 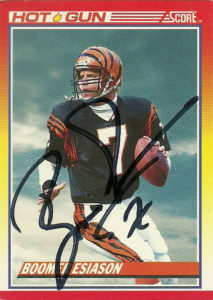 Later he’d sign with the New York- New Jersey Knights going 8 of 8 on extra points and 1 of 3 on field goals and finish with 39 total points ranking 5th in the league amongst kickers. 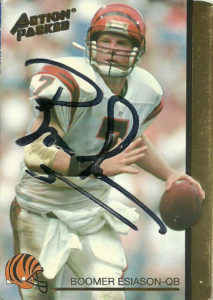 In 1992, Kendall won the kicking job outright in NY-NJ and finished 22 of 25 on extra points and 6 of 11 on field goals. 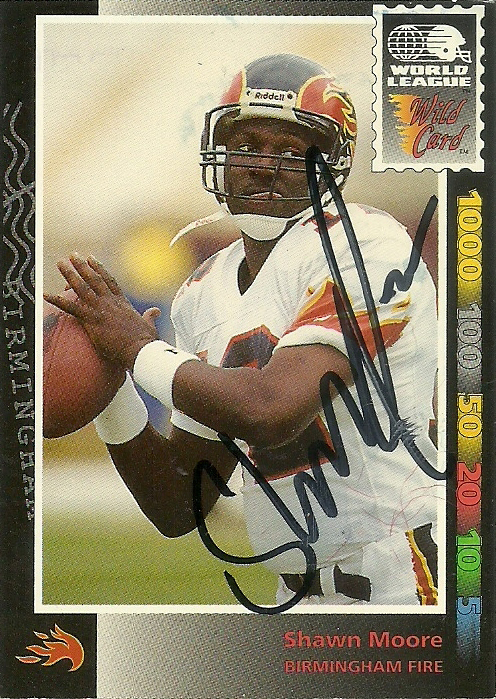 He’d hit 4 of 7 from 40-49 yards including a career long 48 yarder. Kendall had a terrible game against the Ohio Glory missing 2 extra points and 2 field goals. He’d be cut the next day ending his NFL career. These WLAF guys are getting harder and harder to track down over the years, but when you receive thank-you letters like I did from Kendall it makes it all worth it. Kendall returned home to Arkansas and worked for the Walmart Corporate offices for many years. He currently runs his own business specializing in information technology.